We are a leading Manufacturer of hvac dampers from Kolkata, India. We have been counted amongst the most trusted name in this domain, involved in offering supreme quality range of Hvac Dampers. 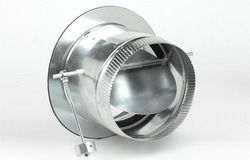 This Hvac Dampers is known for its elegant design and exclusive quality. Our product range is available in industry leading prices and as per our customer’s demands and specification. We use advance technology for the processing and recruited best team for the execution of our whole process. Looking for HVAC Dampers ?